For the latest insights from the largest international market study on the use of data. For the fourth consecutive year, GoDataDriven has collaborated with Big Data Expo and several other partners to conduct its annual Data Survey. Over 1,300 professionals shared their insights and experiences in topics such as data strategy and technology, data science implementation, cloud, and more efficient talent acquisition. This report presents the results of this annual survey, and discusses the combined insights into topics such as - data strategy and technology - data science and artificial intelligence - talent acquisition. 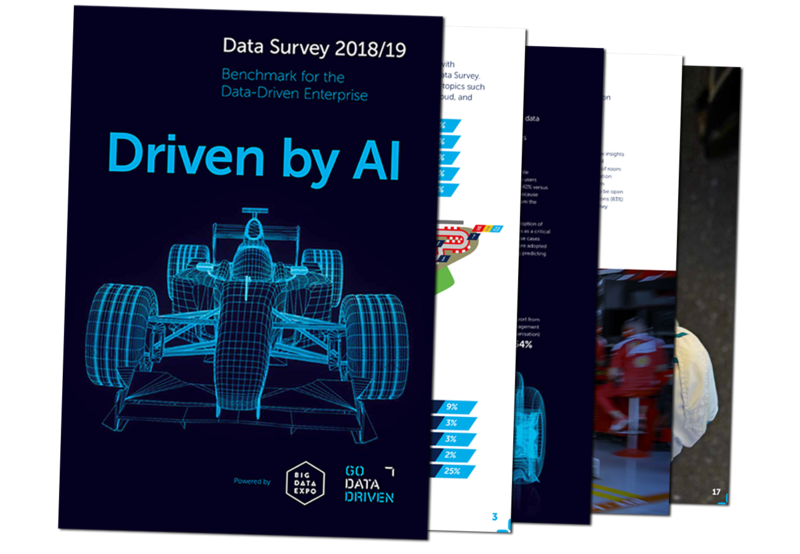 Download the 'Data Survey 2018/2019 - Driven by AI' for more insights!